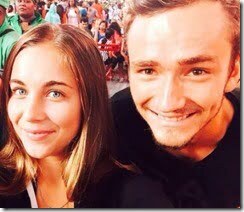 You are here: Home / Tennis / Who is Daniil Medvedev’s Girlfriend? 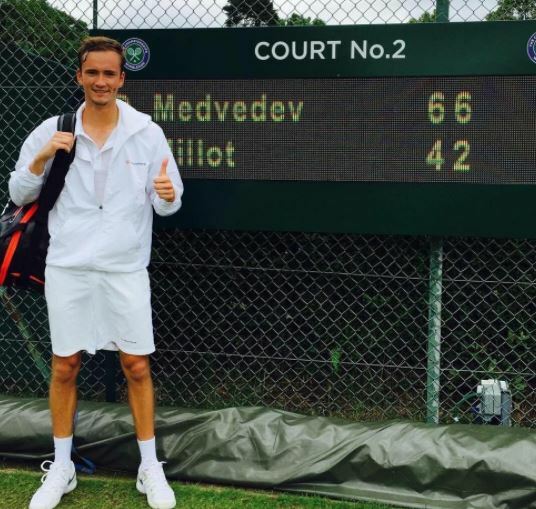 Who is Daniil Medvedev’s Girlfriend? What is worse than being a tennis player losing in Wimbledon? How about facing the prospect of heavy punishment as well! That is exactly what happened to Russian tennis star, Daniil Medvedev. The hunky right-handed began playing tennis at age 6. 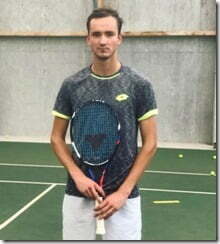 He was born February 11, 1996 in Moscow, Russia but currently resides in Antibes, France –where he also trains. Growing up his idol was countryman Marat Safin. 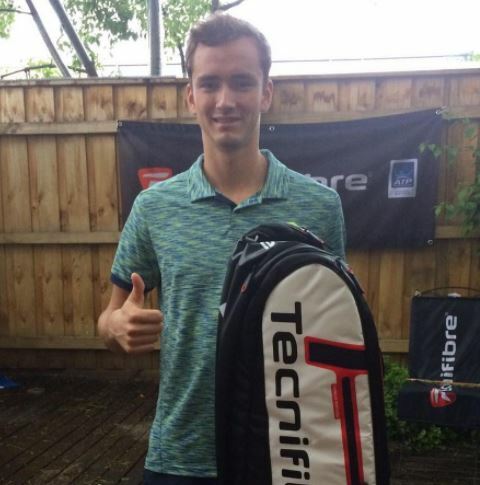 Daniil who’s favorite surface is grass ad shot is backhand –turned pro in 2014. 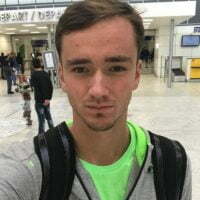 Nicknamed ‘Bear’ Daniil Medvedev is the son of Sergey and Olga. He has one sister named, Elena. 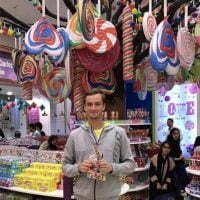 He attended school at Physics and Mathematics Lyceum and speaks Russian, English and French. When not doing what he does best, Medvedev spends his time playing videogames. 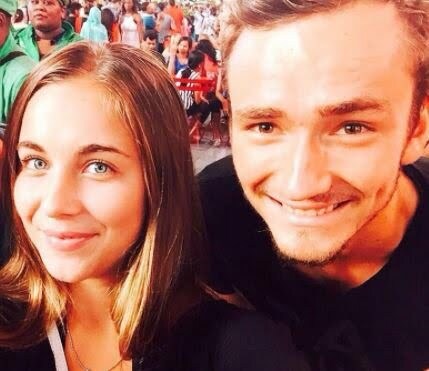 The 21-year-old is a big fan of FC Bayern Munich and football players David Alaba and Robert Lewandowski. Medvedev achieved a career high ATP singles ranking of 49 on 3 July after he knocked out Stan Wawrinka. 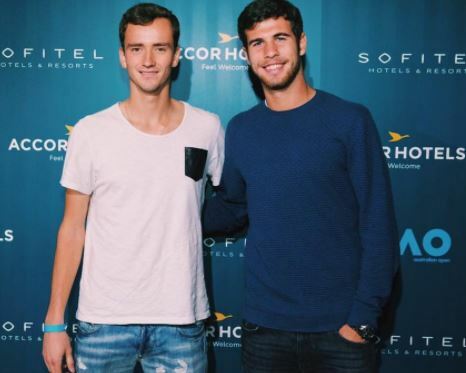 He also has a career high ATP doubles ranking of 278 achieved on 4 April 2016. 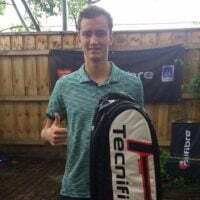 He has won one ATP Challenger and four ITF singles titles and four ITF doubles titles. But things are not looking up for Medvedev. 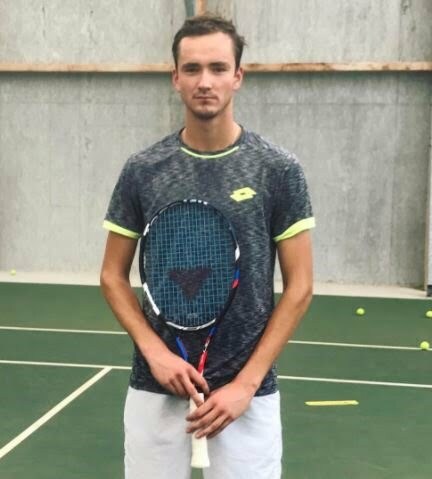 It appears frustration got the best of the young player; when he reacted angrily to a series of controversial calls during his defeat to Belgium’s Ruben Bemelmans. 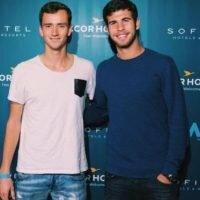 Apparently he asked the court supervisor to remove Mariana Alves as umpire late in the fifth set then emptied his wallet of loose change moments after losing 6-4, 6-2, 3-6, 2-6, 6-2. 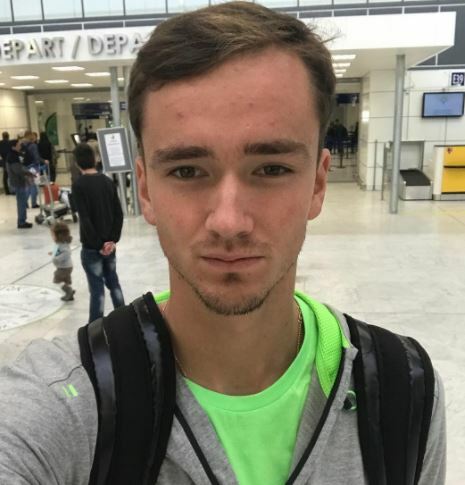 The Guardian reported, Wimbledon officials are likely to take a dim view of Medvedev’s conduct, despite his insistence that there was no deeper meaning to his behavior, and he could be hit with a hefty fine. 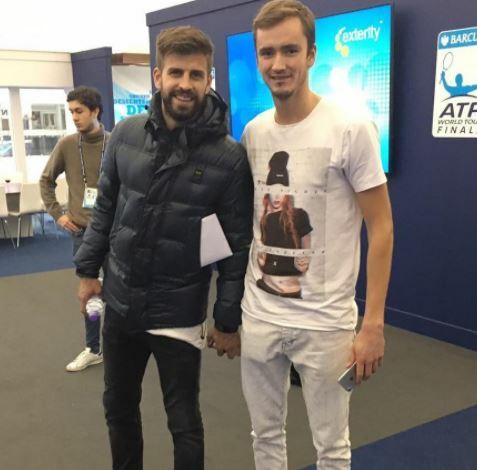 Unfortunately for Daniil Medvedev there is no special someone who can offer some support during hard times. There’s no indication of him being in a current relationship. 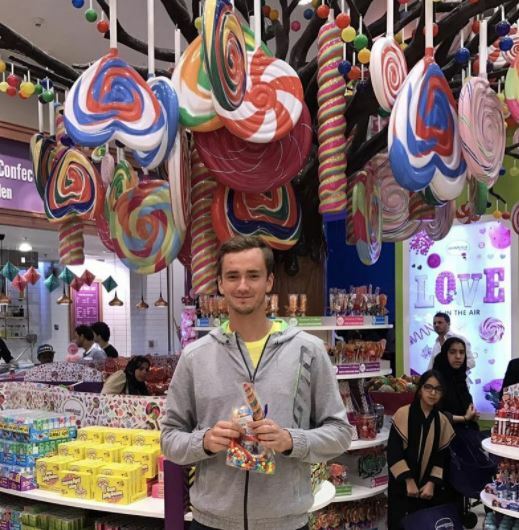 What do you think of Daniil Medvedev’s recent behavior? Who is Samantha Stosur's girlfriend?